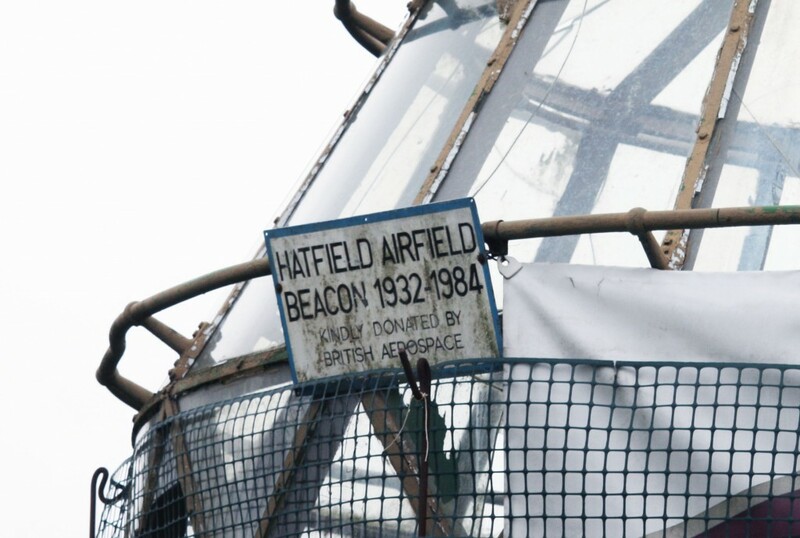 Hatfield Aerodrome, to the north of London, was the home of the Trident (and many other) aircraft. The airfield was constructed on farmland in 1930, and de Havilland aircraft such as the Moth, Dragon and Dragon Rapide were built here in the impressive art deco buildings. A hard runway was laid in 1947, allowing jet aircraft such as the Vampire and Comet to be constructed at the airfield. From the 1950s and 60s the Trident was developed and produced, including our own G-ARPO, which was constructed here at the end of 1964 and first flew on 13 January 1965. Later, the BAe 146 aircraft was developed on the site, including final assembly of the -100 and -200 models. 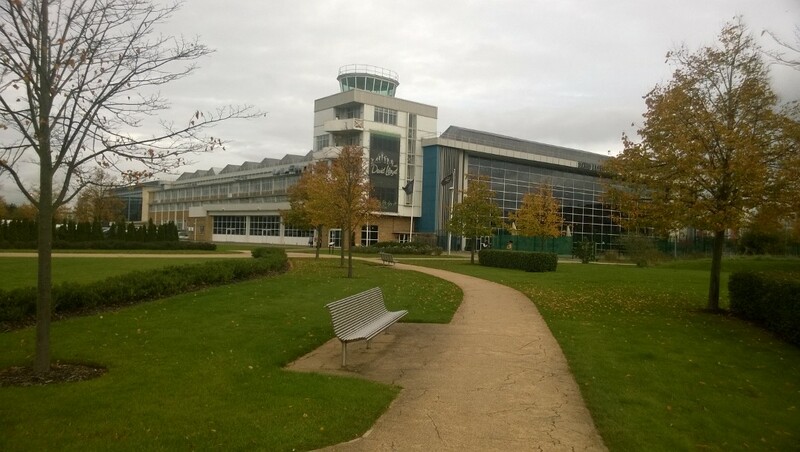 The airfield was closed in 1994 and redeveloped. Today it is home to housing, a business park, and part of the site of the University of Hertfordshire. We recently took these pictures of the Hatfield Aerodrome site as it appears today. You can see that the control tower and one of the hangars still exist, in use as a gym. 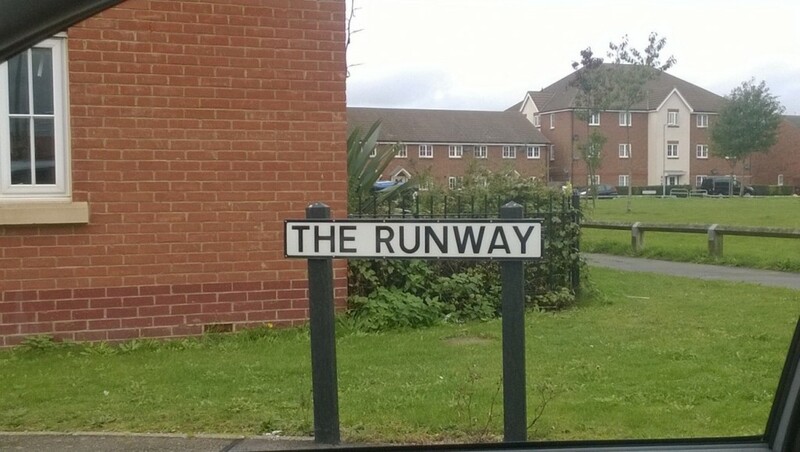 There are many other memories of the past in the road names and other signs. 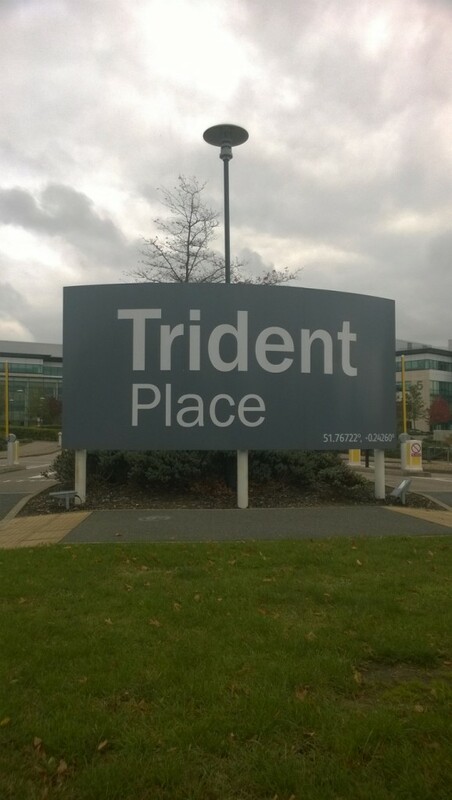 This entry was posted in Featured, Featured articles and tagged aerodrome, hatfield, today, Trident, trident g-arpo. Bookmark the permalink. Joined the de Havilland Aeronautical Tech. School in 1953 as an engineering apprentice. After Astwick Manor worked on Comet 1 and Comet 2 alterations following the accidents. Left in 1957 as I had become obsessed with flying rather than engineering. RAF wings, flew piston provost, vampire T11, meteor then two tours on Shackletons before leaving to fly de Havilland Rapides with Scillonia Airways, later BEA / British Airways flying Tridents 1,2 and 3, flew 5,760 hours on Tridents before moving on. Always regard the Trident as the best civil airliner that I ever flew from the pilots viewpoint. Fantastic story, thanks David. Did you ever fly G-ARPO? If so, have you sent us your logs for flights on her?